The clinical name for a heart attack is a myocardial infarction. Your heart is a muscle and in order to operate it needs a blood supply. 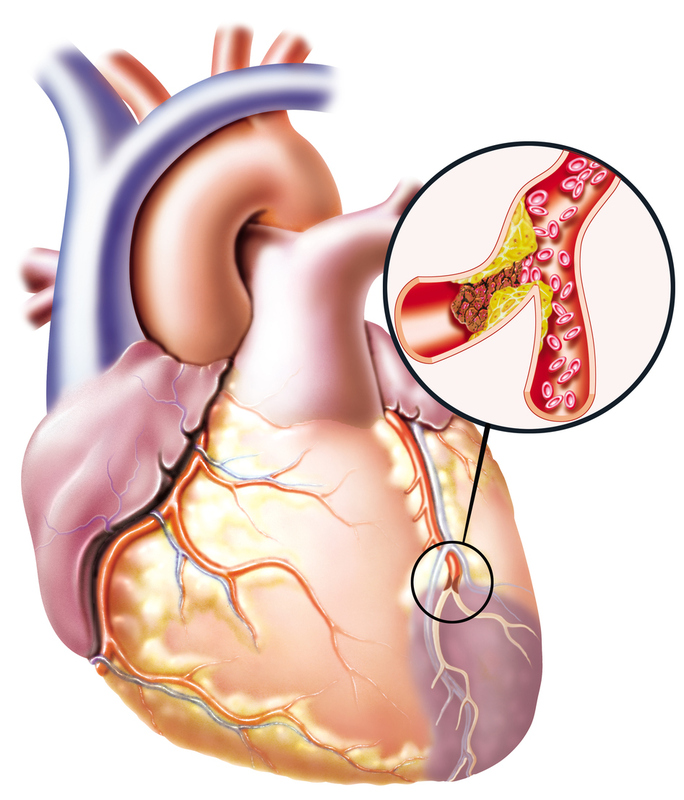 The blood supply to the heart muscle comes through the coronary arteries. These are the red vessels on the image below. 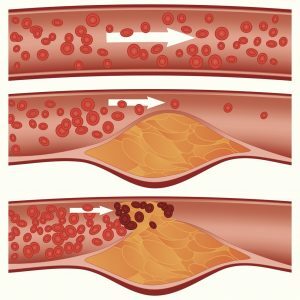 A heart attack happens when the flow of blood is blocked or partially blocked and the heart muscle cannot get a blood supply. The blood carries oxygen which is needs for the muscle to function. Therefore the blood flow needs to be restored quickly. 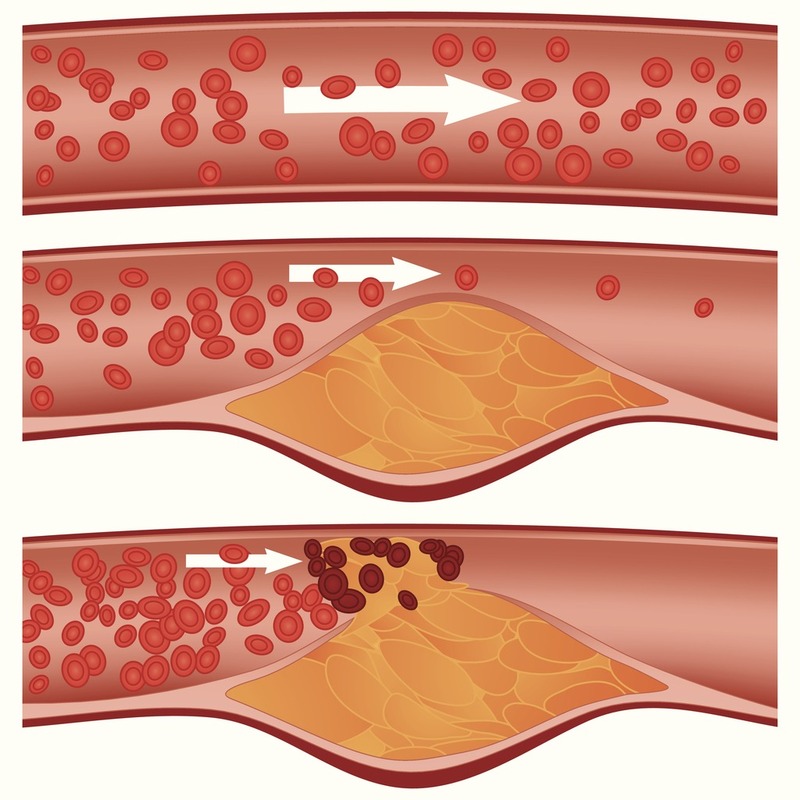 There has been a build-up of plaque in the arteries (Diagram 2). Eventually a piece of plaque can break off and a clot forms. The clot then becomes large enough, it can partly or completely block the artery. You may experience chest pain or discomfort, shortness of breath upper body discomfort, a cold sweat, nausea, back pain when you are having a heart attack. It is important that you call 999 or 112 straight away so you can get to the hospital and the blood flow can be restored as soon as possible. To treat this you may be given a clot buster or may go the cardiac catheterization laboratory where a stent may be inserted. In hospital you will also be started on a number of medications. 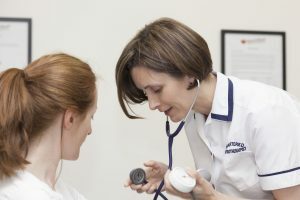 Your risk factors of heart disease will be identified and you will be given advice on exercise and diet as well as other lifestyle modifications. What do I do after I leave hospital if I had a heart attack? After you leave hospital it is important that comply with your medication and adhere to the dietary advice that you received in the hospital. You can gradually increase your walking from 10 minutes per day to 30 minutes per day over a 6 week period. This allows your body recover from the insult. It is difficult to recover from a heart attack. Most people will experience a grief process which means that you may be angry at times or quite despondent. This can be the most challenging part of your recovery. Two to six weeks after your heart attack you can partake in a cardiac rehabilitation programme which will consist of risk factor medication and exercise training. The aim of cardiac rehabilitation is to improve your quality of life and to reduce your risk of a further cardiac event. It can be daunting trying the return to activities after your heart attack. The rehabilitation team will be able to assess your capability and advise on activities that you are able to return to at that point. You will also be prescribe an exercise regime that will improve your capabilities. Your family may feel anxious and might limit your activities. 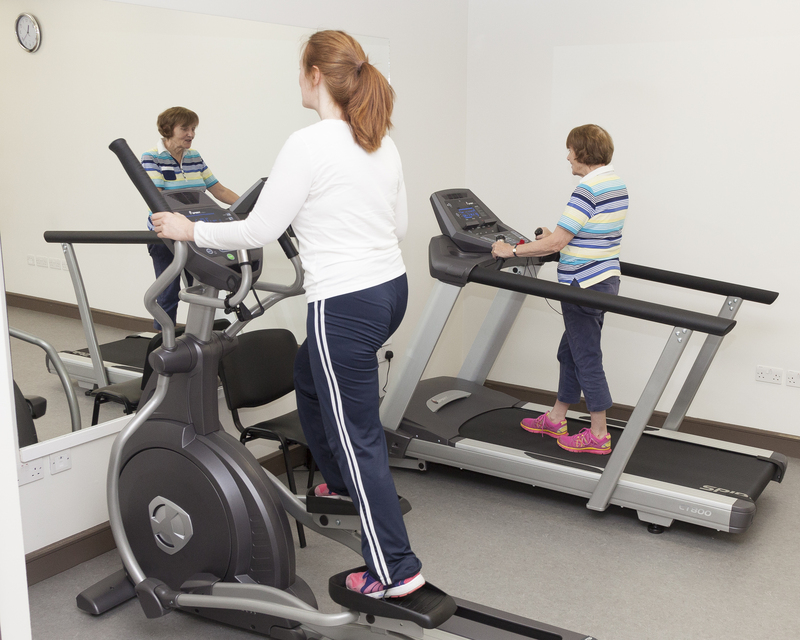 It is important that you all work with the cardiac rehab professional to optimise your outcome. What is a cardiac physiotherapist? Unit 5, Kilcullen Business Campus, Kilcullen, Co. Kildare. 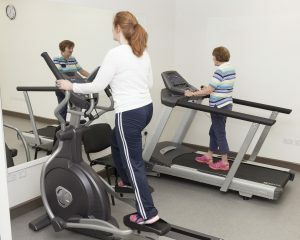 www.h2hcardiacphysio.com, info@h2hcardiacphysio.com, 045484000, 0877667465.